Got a damaged windscreen? You’ve come to the right place. We’re auto glass repair specialists. No matter what car you drive we can fix your windscreen fast, where ever you are in Auckland. You only get one shot at getting your windscreen repaired. A failed repair could mean you are up for the cost of the repair plus a full windscreen replacement. With Mobile Windscreen Repair you can have total confidence to get the job done right the first time. It’s important to have experience on your side. We take the time to get the repair rights, first time. Our expert staff will advise you on the best solution for your damaged windscreen. 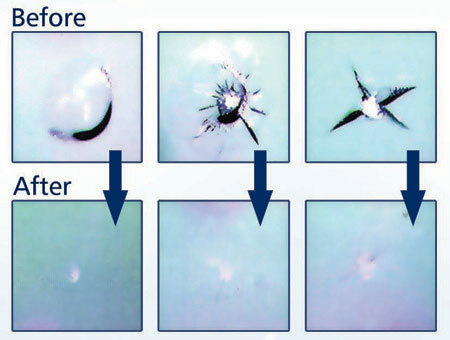 Small chips and cracks can be fixed on the spot with our advanced resin injection technology. No need to replace the whole widescreen. Drive away knowing you’ve got the best possible repair at the best price. Whether you have a car, a bus, a truck or even an excavator that needs a new windscreen or any other auto glass, we can help you get it fixed - fast. We cut all the red tape behind the scenes at every step of the way.When you contact us there’s no call centre machines or delays. You get straight through to a real person who takes care of you and your vehicle from the beginning to the end of the job. We also deal with all the insurance paperwork for you. Contact us for a no obligation free quote.